A 47yo British player turned a £1.50 bet into a MASSIVE $4,5 million prize on December 12. 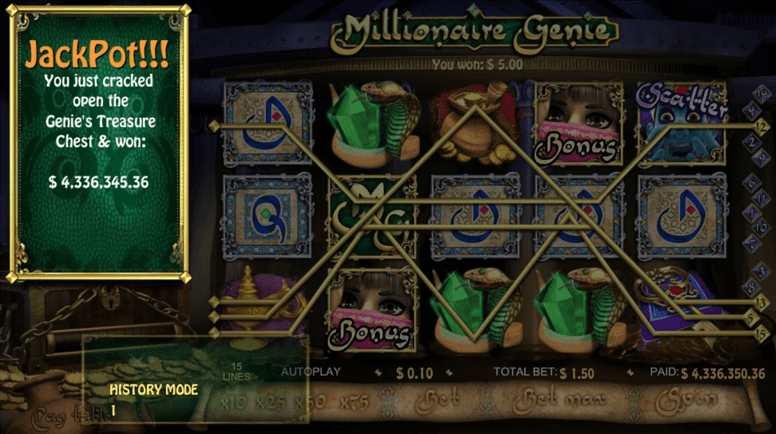 Christmas came early this year for one of the luckiest poker players of all time, as on December 12 888casino registered a mind-blowing $4.3 million win at their uber-popular Millionaire Genie slots game. 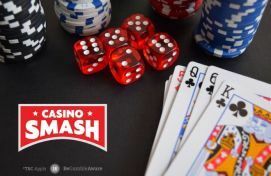 888casino shared with CasinoSmash that the winner is a 47-year-old lady from the United Kingdom who signed up for an account at 888 through the group’s poker site. “As an 888poker player who dabbles in both poker and slots machines recreationally, she had played this game before on several occasions,” a representative from 888 explained. What makes this very last game unusual compared to all the others she played on the platform, however, is the fact that the lucky British lady was able to take home the ginormous progressive jackpot with a tiny bet of just £1.50. “I didn’t think it was real and had to take a picture of it,” the fresh millionaire said. “Once it sunk in, I realised this is a life changing win and can’t be happier.” The woman, who is now employed as an occupational therapist specialising in hand therapy, shared that she plans to use the money to get some rest and take care of her family. I’m going to leave work to take care of my mother who has Alzheimer’s. I can finally care for her and get help to care for her. With a four-million check about to hit her bank account, the lucky 888 player started also to plan her next move and her next trips, as the financial help she received from the progressive slots game will allow her to end 2016 in style in an exotic destination. “I want to go on holiday to India in the New Year. My husband wants to go to Barbados,” she concluded. More Than $1,5M Still Up For Grabs at 888Casino! While the UK player took down the largest progressive jackpot on tap at 888casino, the sister site of the world’s second largest online poker room has some juicy life-changing prizes still available on their platform. By having a quick look at the progressive jackpots available right now, we found out that there are ten more games that could not only help you have a better Christmas, but that could also change your life forever. If you like the numbers in the table above and you don’t have an account at 888casino (yet), I have good news for you - because the casino’s welcome bonus gives the unique chance to get your shot at a life-changing prize for free. Once the free money reaches your account, aim for the stars and hit the progressive jackpot games at 888casino. Remember no deposit is required to participate! GET THE BONUS & PLAY! Royal Panda Launches the "December Calendar!"